We also outlined how we’re supporting government to design great services. We said that we can’t do this alone and we need to work with the whole of government to improve services. Ashley gave a brief history of digital transformation, starting with GOV.UK, and explained how the Government as a Platform supports good service design across government. Louise talked about the guidance and support GDS offers. And Nick de Leon, founder of the Service Design Programme at the Royal College of Art, talked about the kinds of skills needed to make this happen. Users don’t care about the structure of government. They don’t care which department or agency does what. We’ve talked a lot about designing services for the user, not just for those in government. To a user, a service is something that helps them to do something – like learn to drive, buy a house, or become a childminder. Notice these are all verbs. But at the moment, when users interact with government they often come up against things that might not make sense to them. Things like 'Reporting of Injuries, Diseases and Dangerous Occurrences Regulations 1995 (RIDDOR)' or 'Statutory Off Road Vehicle Notification (SORN)'. These are all nouns. 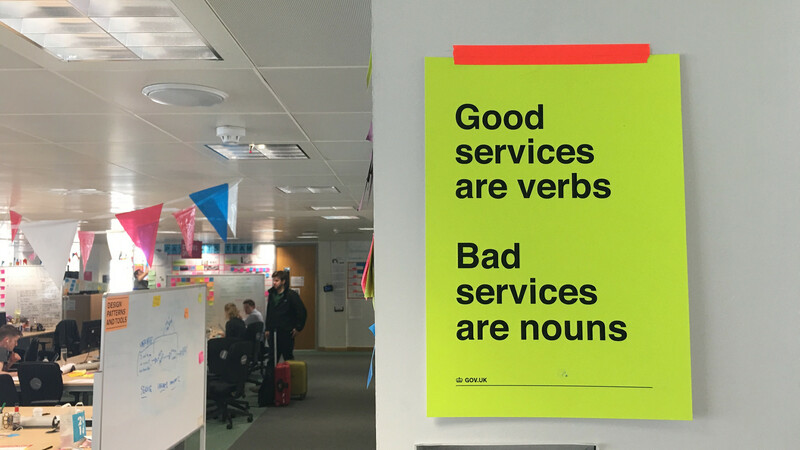 As Louise says: “good services are verbs, bad services are nouns”. We want to help government make good services. To do this we want to help anyone in government involved in designing, running and maintaining services. Service teams are our main users. We want to help them help their users. In order to create great services in the first place, government has to stop thinking in silos. It needs to create services that cross departmental boundaries. At our session, we showed the journey that has brought GDS to a position where we can think about whole services. We also talked about how we can work with the rest of government to create great services. Ashley ran through the history of GDS. He talked about the initial work on GOV.UK in 2010. He then looked at the Transformation Programme and the learnings that led to Government as a Platform. The aim of Government as a Platform, as Ashley said, is to provide a series of common components. Things that can be used across government in different services, to make them easier and cheaper to run. Components that can be built once and used again and again. Components like GOV.UK Pay, a common payments platform for government. Or GOV.UK Notify, which allows government teams to send emails, text messages and letters to the people that use their services. This has brought GDS to the stage where we can think about the design and creation of end-to-end government services. Louise then outlined 3 of the main areas of support that we’re giving to government to help design great services. These are: tools, guidance and skills. Ashley talked about common components. 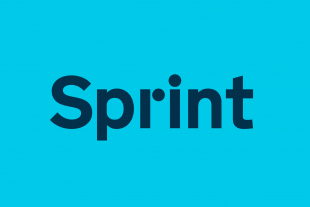 GDS is also developing a series of toolkits to help developers rapidly develop prototypes or quickly build services in the GOV.UK style. And we’re also developing service patterns. These are sets of practical guidelines for building a services (or bits of services) that are repeated across government. This could be something like getting a licence or exchanging the ownership of something. The guidance GDS offers around services comes in several forms. Our Service Manual is there to help people across government design and manage services well. It’s there to help pass the service assessment – the necessary step to getting an online service. It’s continually being updated by experts across government and from around the world. And on our Performance Platform we collate information about the performance of similar government services. This is to give departments all the data they need to make better decisions about services. This is possibly the most important point. All the tools and guidance in the world are useless unless we have skilled people working across government who can create good services. GDS is bringing together a skilled community of designers from across government. There are now more than 300 designers and 10 heads of design across government. GDS is training 35 designers every six weeks. We’re working to support a network across government that will create great services. As Louise said during the session, service design in government shouldn’t be complicated. As we’ve already seen, to a user, a service is simple. It’s something that helps them to do something – like learn to drive, buy a house, or become a childminder. It’s not complicated, but it is hard to build these services. It’s hard because it cuts across government departmental boundaries. It’s hard because it involves thinking from the user’s perspective, and it’s hard because it has never been done before at this scale. At GDS we’ve started this hard work. We’ve created components, developed tools and guidance and brought together communities. But to scale this work we need to involve the whole of government. We need to get to a stage where services built around user needs shape government, not the other way around. Good services are verbs. Bad services are nouns. Love it. Couldn't have said it better. So, what did the parliamentarians say? What was the feedback you got? Were any of them responsible ministers? Hello Charles. Barry Sheerman MP chaired the meeting and Matt Hancock MP, who was Cabinet Office Minister at the time, attended for a short while. Both were fully committed to the cross government approach of designing and building end-to-end services, which me and Lou explained in our presentations. They welcomed the contribution and input from the industry experts and stakeholders on how government should continue. The discussions were supportive and constructive.